Introduced in our Cruise 2019 presentation, this lace-up shoe is designed to wear with the season’s intricate patterns and rich hues. 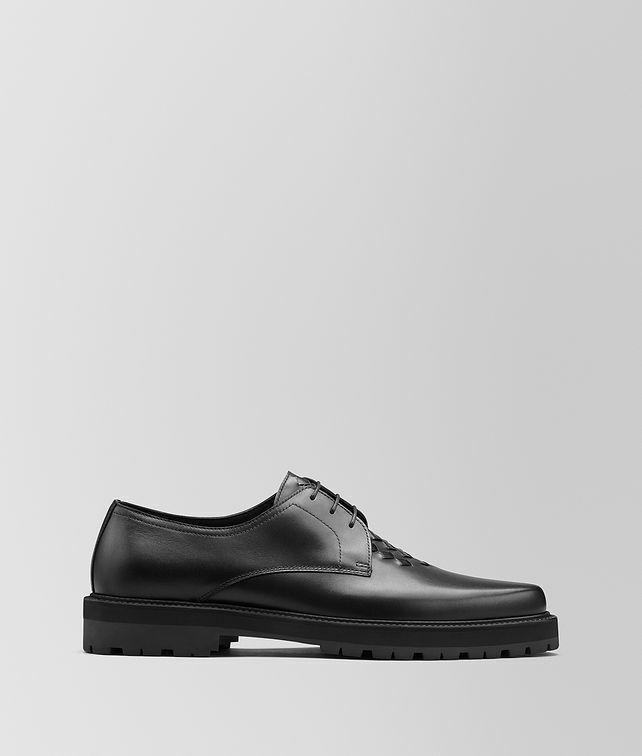 It is crafted from supple calf leather and detailed with a panel of bi-colour intrecciato on the upper. The pair is made with an almond-shaped toe and set on chunky yet lightweight rubber sole.